BEIJING (Reuters) -- China's main state-owned television network struck out against Volkswagen AG in its second expose targeting the company this week, alleging this time that it overlooked dangerous engine leaks in its Chinese cars. Foreign companies such as Volkswagen that dominate certain sectors of the Chinese market can be particularly vulnerable to exposes that hold sway over consumers and can drag down sales. The China Central Television segment on Wednesday alleged that Volkswagen customer service and dealerships ignored complaints of oil leaks pooling in the engine tray, an issue that third-party experts said could be a fire hazard. 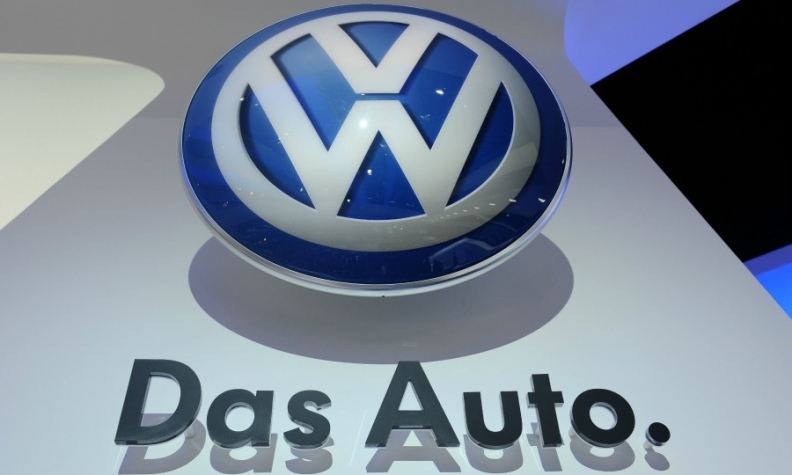 "We are aware of media reports regarding an engine oil issue, and we sincerely apologize for any inconvenience caused to our customers," Volkswagen spokeswoman Larissa Braun said in an emailed statement. "We take such reports very seriously and have already launched an investigation into the matter." The company will issue further information as soon as possible, she said. "[The report] does pass the sniff test," said James Feldkamp, CEO of Shanghai-based consumer watchdog MingJian. Volkswagen has recalled more than 93,000 2014 and 2015 models globally, including some models from subsidiaries Audi and Porsche, over fuel leak issues as well as nearly 38,000 in the U.S., Feldkamp said. "It looks entirely plausible that the engine problems they're having with the leak are more widespread than originally reported," he said. CCTV said it found complaints of engine leaks in Volkswagen cars in Shanghai, Beijing and at least eight of China's provinces. The report mentioned Magotan sedan and Tiguan SUV models. When the owners featured in the program contacted dealers or Shanghai Volkswagen customer service, they were told such leakages were normal. In 2013, CCTV reported on Volkswagen transmission gearboxes causing cars to speed up or slow down. That report spurred a recall. The exposé follows on CCTV's annual "3.15" consumer rights day investigative special aired on Sunday that alleged Volkswagen, Nissan Motor Co. and Mercedes-Benz dealerships oversold repair services and parts that drivers did not need. McDonald's, Apple and Starbucks have all been subjects of CCTV 3.15 exposes in the past. China is the world's largest auto market, and Volkswagen, through its joint ventures with SAIC Motor Corp. and FAW Group, was the country's top selling automaker in 2014.